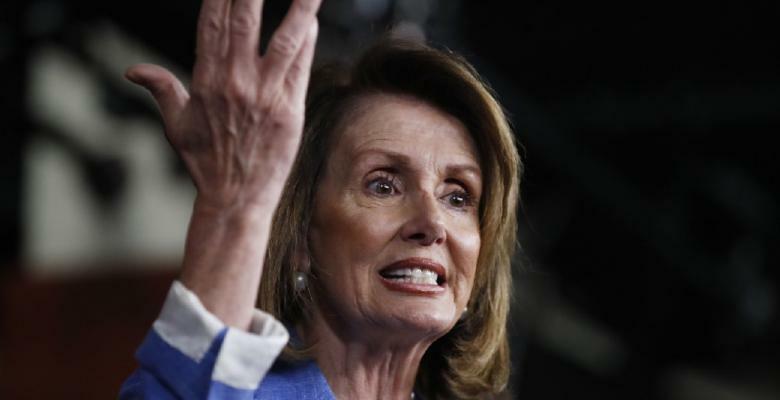 First and foremost, kudos to Nancy Pelosi for doing the right thing and condemning these violent thugs who are destroying property, hospitalizing Americans, and breaching countless laws. This misbehavior is unacceptable, regardless of political beliefs or affiliation. Antifa is radical, lawless, and left unchecked they will tear this nation apart. Democrats, Independents, Republicans, and other groups have an ethical obligation to publicly censure Antifa and ensure these thugs know that they have no support. We the people, liberal and conservative alike, will not stand for or tolerate violence against Americans in any capacity whatsoever. Interestingly enough, Nancy Pelosi is not the only non-Republican to condemn Antifa. Morning Joe co-host, Joe Scarborough, who recently announced his departure from the Republican Party to become an Independent, rightfully called members of Antifa as fascists, as noted by Red State. Scarborough is absolutely correct. Facts are facts, regardless of who articulates them. The irony of Antifa supposedly standing for ‘anti-fascism’ is unbelievable. Nothing screams “fascist” like wearing masks, vandalizing property, and assaulting American citizens. Like all extremists, Antifa is the epitome of all they claim to oppose. Witnessing the condemnation of Antifa from non-Republicans and Republicans alike is hopeful. Obviously, conservatives are against attacks on others, but knowing that Democrats and Independents are against these assaults as well signifies the existence of underlying unity in America, regardless of the blatant, and seemingly, mounting division. In order for America to heal, unite, and combat extremist groups like Antifa and the Alt-Right, Republicans, Independents, Democrats, Libertarians, and others must stand together. Radical extremists feed off of sickness, division, and infighting. At the end of the day, we are all Americans first. We are Americans before we are liberals, conservatives, blacks, whites, Jews, Christians, agnostics, etc. The preservation of our nation and our people is paramount. As the two major political parties in America, Democrats and Republicans have a patriotic obligation to unite, especially in the face of radicals who aspire to annihilate the foundation of America and erode our values. As individuals, we will not always agree. Republicans may favor lower taxes, while Democrats advocate for a stronger government to ‘help’ the people. Unification is not synonymous with agreeing on every policy issue or reform measure, but at the end of the day, the great equalizer remains. The great equalizer is patriotism, Americanism, and love for this nation. Antifa has no love for the USA. They want to tear down monuments, beat up people, destroy public property, and commit countless crimes against humanity. America is not a perfect country by any means, but Antifa’s careless, fascist, violent behavior will not right any wrongs or perfect any blemishes. Antifa is only making matters worse. They know this and simply do not care. Antifa, your reign of terror is approaching a swift and speedy halt. We the people will no longer stand idly by and tolerate you destroying public property, defacing monuments with spray paint, and assaulting fellow Americans in the streets. Your actions are criminal, and you will be held accountable to the fullest extent of the law. Democrats and Independents, please take cues from Nancy Pelosi and Joe Scarborough. Now is the time to denounce AntiFa loudly and clearly, just as Republicans, conservatives, and President Trump have denounced the Nazis, KKK, and other white supremacists who took to the streets in Charlottesville, Virginia. Whether black or white, liberal or conservative, Christian or Agnostic, our status as Americans comes first. This, dear reader, is the ultimate equalizer against the criminal, destructive mobs like Antifa which threaten every good thing this nation stands for.